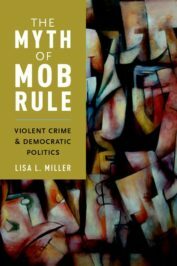 In the first installment, I challenged the popular trope that ‘checks and balances’ in American politics serves to limit power, protect liberty, or promote the balance between the interests of political minorities and majorities. The stark example of Donald J. Trump’s election, despite his loss of the majority vote and limited support within his own party, highlight just how out of touch this trope is. However, there are examples of the limits of the conventional view. The language of ‘checks and balances’ obscures the exercise of real political and economic power, which is often wielded against the basic interests of political majorities. Truman’s plan would have covered everyone, “regardless of residence, station, or race.” And for decades, a majority of Americans have favored a national health care system with universal coverage that is funded, in large measure, by taxes. Despite this support, policy after policy fell prey to the veto politics of separation of powers and bicameralism — Truman’s policy provoked the ire of powerful interests like the American Medical Association, and the 1946 mid-term elections gave Congress to the Republicans, who largely opposed his plan; Republican President Richard Nixon’s 1973 plan was killed by a Democratic Congress, which thought it too centrist (though it was probably more left-wing than Obamacare); and Democratic President Bill Clinton’s 1992 policy fell prey to the powerful insurance lobby and also to both inter- and intra-party squabbling, which paralyzed the Democratic Congress. It took a global recession and an unpopular president in 2008 to finally usher in a Democratic administration and Congress with a huge national majority that, at long last, managed to pass a universal health care bill. But notice what happens next. First, while the Patient Protection and Affordable Care Act (2010), aka Obamacare, required states to expand funding and eligibility for Medicaid to a larger portion of low-income Americans, Republican State Attorneys General, right-wing think tanks, and a national independent business organization, sued the federal government over the policy. Their challenge was based squarely in checks and balances reasoning. Obamacare, they argued, exceeds Congress’ congressional authority and thus needs to be checked by the Supreme Court. Moreover, the policy violated the rights of states under the federal system, which serves to balance national and regional interests. See the sleight of hand? The abstract language of checks and balances implies that individual Americans are at risk from this overreaching administration. In fact, however, the at-risk populations were those without access to the health care they need. The political minority here was business interests and some leaders in the opposition party who opposed a nationally proscribed, universal health care policy. In National Federation of Independent Businesses v. Sebelius, the Supreme Court upheld the bill overall (rejecting the first argument), but it struck down the part of the bill that required states to expand Medicaid (the federalism argument). As a result, expansion of Medicaid by the states became voluntary. Which states did not expand health insurance for the poor? As of this writing, nineteen states, Mississippi, Alabama, Tennessee, Georgia, Florida, South Carolina, North Carolina, Missouri, Oklahoma, Virginia, Texas, Kansas, Nebraska, South Dakota, Wyoming, Utah, Idaho, Wisconsin and Maine. Many of these states, particularly the southern ones, have a high number of counties with poverty rates over 20%, the highest rates of children under the age of five in poverty, and, as illustrated below, represent many of the poorest states in the country. Percentages of people in poverty throughout the US in 2014 from the US Census Bureau. Public domain via US Census Bureau, Small Area Income and Poverty Estimates. Checks and balances did not check or balance power at all in this case. Rather, separation of powers allowed economic and political opponents of policies, supported by majorities, to stymie the passage of health care for generations. Then, judicial review and federalism facilitated the dilution of a policy that was intended to be universal and to help the worst off. The ‘checking and balancing’ here benefited no political minority except economic and ideological ones. But it did leave a portion of low-income Americans no better off, despite widespread support for a social policy that could have helped them. Second, Republicans made Obamacare the centerpiece of the 2012 election. They spent inordinate amounts of time introducing bills to repeal the Act, knowing that President Obama would reject such repeals. Despite stoking hostility towards the Act, Obama won re-election comfortably in 2012. Incredulously, Republicans continued their opposition to Obamacare into the 2016 election. Having regained Congress and the White House in that year’s election (through the veto point of the Electoral College), however, they have discovered that—even with its flaws—universal health care and many of the rules that go along with it, turn out to be quite popular among a majority of Americans. Who knew? A democracy should not require super-majorities and decades of struggle to achieve a basic social policy that is supported by a simple majority. On health care, like many other social policies, abstract claims to checks and balances without reference to whose power is being checked (often the majority) and with whom it is being balanced (often economic and political elites), simply reinforce existing power structures and leave the majority of ordinary Americans with little capacity to force change. Featured image credit: Affordable Care Act arguments, Day 2 by angela n. CC-BY-2.0 via Flickr.